If you read a great many health articles online or on your Facebook page, then you have probably heard at least something about apple cider vinegar as a health “cure all”. 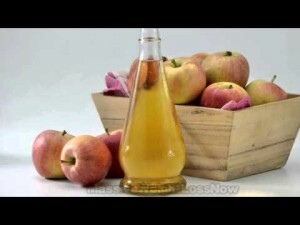 If you have somehow missed out on this latest health craze, to make a long story short, proponents claim that this natural vinegar, made from apples, is a cure for just about everything from diabetes to high cholesterol, toenail fungus to acne, obesity to eczema. Are there any facts behind these claims or is this simply more yadda yadda yadda? Let’s take a look at the facts. Vinegar has been with us for untold thousands of years. Most people consume at least some vinegar in an average week as vinegar is a part of salad dressings, sauces, and fermented foods such as pickles. 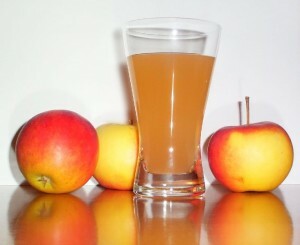 Apple cider vinegar actually contains vitamin C, some B vitamins, and acetic acid. All of these things are good for the body, no doubt about it, and acetic acid, in particular, improves the body’s ability to absorb minerals from the foods we eat. There is proof that vinegar (not just apple cider vinegar, but all types) can offer the body a bit of nutrition while adding a bit of tartness to our meals. However, can apple cider vinegar actually offer us much more than that? Like many natural foods, there are few studies to rely on. There have been several, however, that offer a bit of hope. A Dutch study, performed in 2012, found that women who consumed one cup of apple cider vinegar each day lost more weight than women who did not. The problem with this study is that there was no control group and no randomized testing. The study simply noted that women who had severe damage to their teeth appeared to have been drinking apple cider vinegar as a means of losing weight. This hardly makes for a scientific, controlled study. Another study found that there was improved insulin action for adults who had type 2 diabetes. Unfortunately, this study involved only 8 adults. A 2015 study, also done with diabetics, found that those who consumed vinegar had improved insulin levels, lower blood sugar levels, and lowered triglyceride levels. Like the first study, this one, too, was very small and involved only 11 adults. It’s important to note that other studies found that drinking vinegar had negative health effects for some people including severe tooth erosion and a worsening of stomach problems for those with type 1 diabetes. So while many people tell you that apple cider vinegar is natural and healthy, consider that arsenic is also natural. Vinegar interacts with some prescription medications as well including those for heart disease or diabetes. It is also known to interact with most laxatives and diuretics. If you are taking any medications for any reason, you should always consult with your doctor or pharmacist before you consume any amount of vinegar. What About Other Health Claims? Although it is true that vinegar is an acid, which means that it can kill bacteria and viruses, there is no proof that it can kill those things inside you once you consume it. One study found that, of 7 “natural” or folk remedies tested, apple cider vinegar was the least effective when it came to killing head lice or eggs. However, this same study found that it did appear to kill warts and eliminate acne when applied topically. Many claim that organic, unfiltered apple cider vinegar is a probiotic that is good for the digestive system but the truth is that there are no studies showing it helps with digestion. Furthermore, although vinegar is made through fermentation, like yogurt, however, unlike yogurt, apple cider vinegar contains acetobacteria, which are far different from the bacteria that live in your digestive system. If you want a true probiotic that will support the growth of healthy bacteria in your digestive tract, then eat a fresh apple. A fresh apple contains far more prebiotics than the vinegar ever will. Well, these people are looking for article or ad clicks and will not be able to offer proof of anything, let alone explain the science behind it. If you enjoy using vinegar on your salads or if you find it a useful flavor enhancer, go right ahead and use it! (Assuming you have no health problems) Apple cider vinegar is food, not medicine, despite what you might read otherwise.